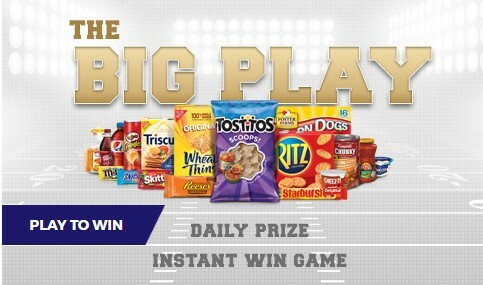 Kroger is celebrating game day by giving you a chance to enter to win great prizes in their instant win game. They're giving away a lot of prizes, nearly $100,000 worth so be sure to enter daily for your chance to win! This Sweepstakes ends on 02/06/17 and you can ENTER DAILY to win.